Many people assume a security operations center only functions as an information crossroads during a crisis. A quality security operations center serves as a central hub for all safety and security operations. 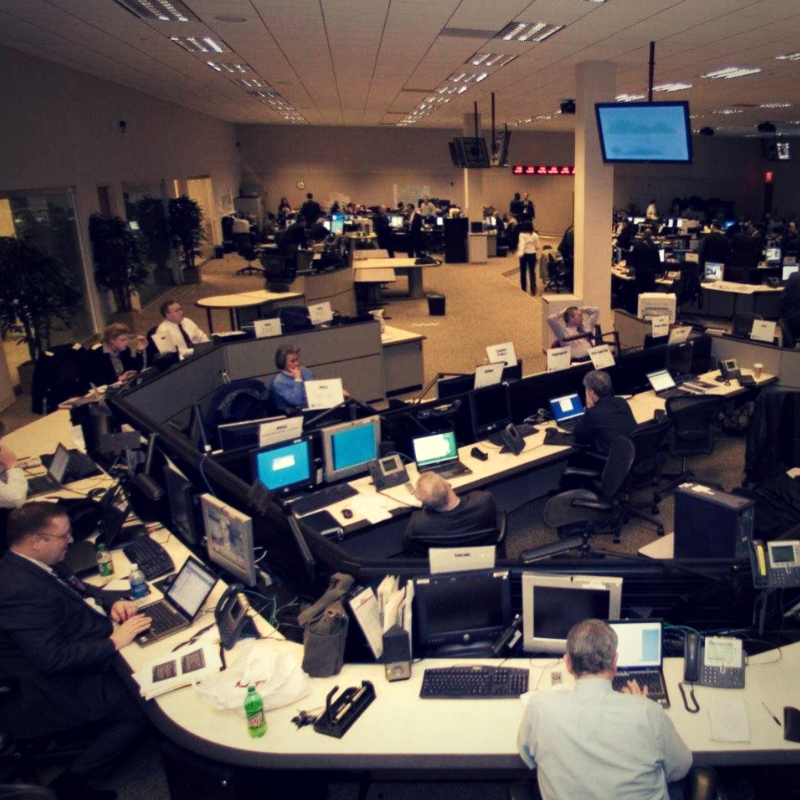 The operations center is the focal point for receiving, analyzing, disseminating and acting upon the information that flows through the center. For participants to perform their tasks in a coordinated fashion, the design of the operations center must consider how work is performed, the number and types of staff in the room at the same time, the design and function of specialized furniture and the audiovisual systems type and placement. 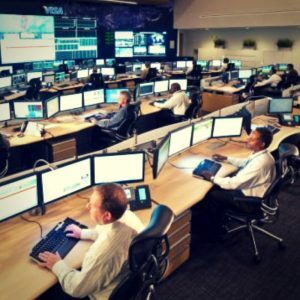 In order to establish an adequately equipped and modern security operations center (SOC), managers have to include IT (plus audiovisual system subset) communications, space planning and furnishings. Everything mentioned must be in sync during normal operations, to ensure optimal operation during a crisis so that staff can collaborate and direct the activities both in the operations center and in the field. 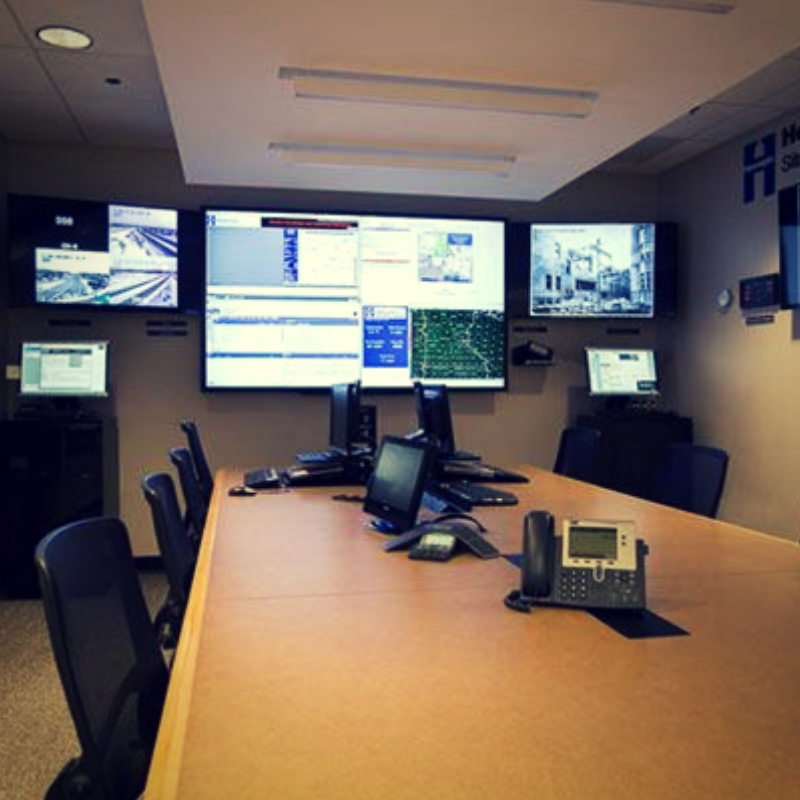 Facility design and layout: There are several ways to approach emergency operations center design and layout. The room layout could be a mix of different styles such as the traditional command center where rows of workstations are placed facing video screens, in an open layout style where workstations are placed around the room for open views, or the cluster style where workstations are placed together by function. Specialized furniture: The best furnishings for emergency operations centers are customized for each individual application and constructed of materials that will sustain 24/7 operations. This furniture should be ergonomic in design and flexible to meet the needs of the staff who will be working long periods of time under crisis conditions. For example, workstations with a monitor that can swivel, which allows the screen to be shared easily. Communications and dispatch consoles: These consoles are often in operation constantly throughout a crisis directing and coordinating activities in the field and keeping the operations staff informed of rapidly changing conditions. Because this equipment is important for proper management of an emergency, with operators spending long hours at the consoles, comfort and trusted functionality are paramount for effective performance. 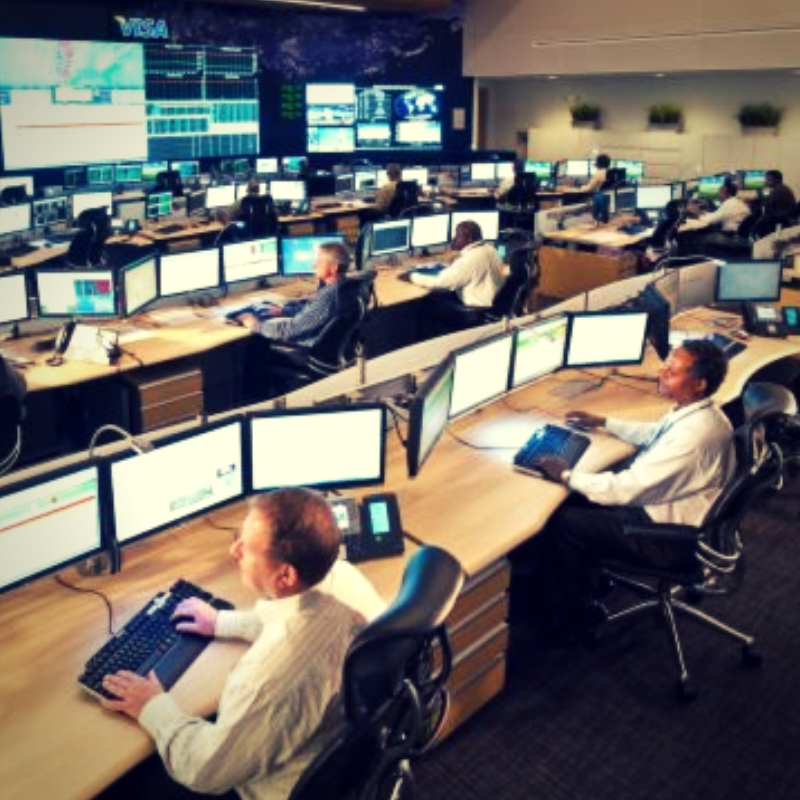 As security operations centers design and functionality evolve, lessons will be learned and room layout, staffing and the tools they use will evolve with it. With that in mind, you need to account for the steps to setting up the entire security operation center(SOC). Telephones, speaker phones or headsets. Utilize emergency management planning and execution tools: Essential information systems should be shared by geographically separated operating locations. Software designed for SOC management should be in place and operations standardized. Establish separate conferencing and breakout areas: Agree upon the emergency operations center design and space allocation. Where possible, separate conferencing activities from the main operations center. Conferencing areas should have phone lines, internet connection, specialized furniture, whiteboards and integrated audiovisual systems. Acquire large screen video wall: The latest video wall technology is essential as a primary tool for seeing and hearing what’s going on at affected areas. Utilize the latest security management software to gain the most from a video wall system. Modern video wall systems allow you to acquire multiple images, size and place them on the screens, and establish layouts with preassigned hot keys so that combinations of images can be displayed quickly. The video wall can be used for video conferencing, collaboration, directing operations, training and record keeping. Choose space-saving LCD video wall systems for relatively low purchase price, dependability and maintenance. Where appropriate, include integrated sound for low cost and ease of operation. 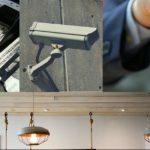 A security operations center that is not properly setup in design and equipment will not function properly.